Tyrants are not to be appeased, but confronted. The rather abrupt visit of Donald Trump to Mexico on the last day of August 2016 was as unwelcome and damaging as the Zika virus. The trip was made official in Mexico only the day before it happened—possibly to avoid thousands of protesters who would have made the job of the secret service and the Mexican security forces difficult to handle. Why did President Peña Nieto arrange for such an encounter? Peña Nieto and Trump held a private conversation for about an hour and then walked into the big press hall of the Mexican presidential palace known as Los Pinos. News outlets in the US made little reference to the key message that Peña Nieto was trying to convey to both sides of the border: his conviction that the North American Free Trade Agreement (NAFTA) “has been good both to Mexico and the US.” Peña Nieto tried to lecture Trump on how Mexico is the most substantial economic partner to the US, and urged the two countries to continue working together to keep jobs within the NAFTA region. Peña Nieto’s position was a weak and subdued challenge to Trump’s rhetoric that jobs are being unfairly exported to Mexico. He agreed with Trump that it is time to revisit and modernize NAFTA in order to make North America a more prosperous region, suggesting that the border could be transformed into a more efficient, safe, and active asset under NAFTA. It is painfully evident that Peña Nieto’s representations to Mr. Trump did not come even close to addressing the strain and suffering NAFTA has imposed to millions and millions of people from impoverished rural areas, many of whom have resorted to out-migration as the only alternative for survival. NAFTA created a colossal market of more than 450 million people. It is calculated that as a result of the new conditions in the agricultural sector in Mexico, approximately 15 million peasants have been forced out of their communities. Given that the new industrial jobs never materialized for the migrants in the cities, the last of the Mexican peasantry ended up leaving the country throughout the 1990s and 2000s. They resorted to the only logical alternative, which was traveling north, where there were plenty of agricultural jobs available for those willing to take meager salaries and long workdays. The outstanding ethnography by Seth Holmes, Fresh Fruit, Broken Bodies, comes to mind here: small village in Mexico, a long trek to Oregon, exhausting work and suffering. In truth, however, the visit was irrelevant to the future of the bilateral relationship. Indeed, Trump clearly did not visit Mexico to learn or listen to what Peña Nieto (a loser) had to say. 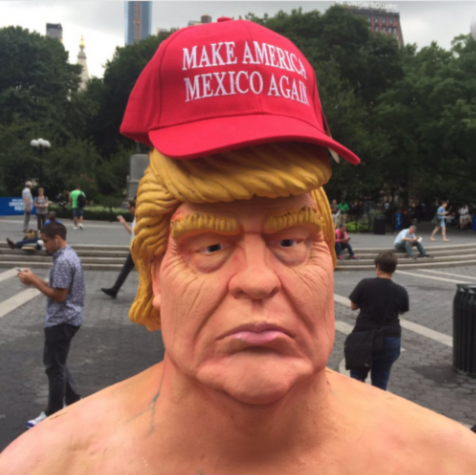 He was in Mexico to show that he, Donald J. Trump (a winner), can be presidential. And there he was, standing tall, side by side with a foreign leader. And although the American flag was conspicuously absent as a sign that Peña Nieto was putting up a symbolic fight, it was painfully evident that Trump was happily exploiting Peña Nieto as a presidential prop—whom he now refers to as mi amigo. The only reason Trump accepted the invitation was to advance his political agenda, improve his presidential image, and show that he can cut a deal: How much of the wall will be paid for by Mexico? Can they pay in installments? 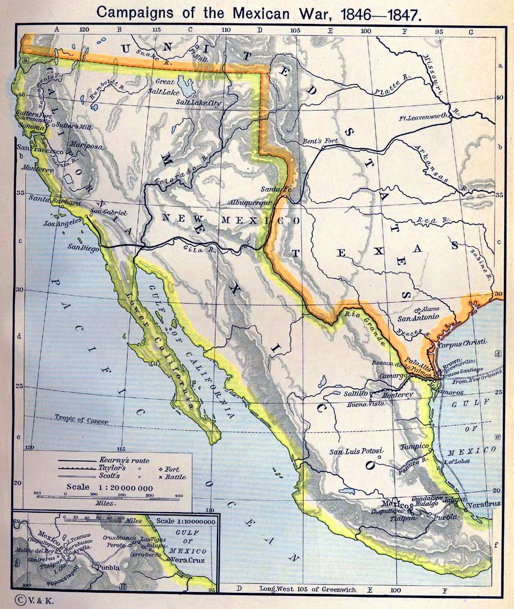 With the sense of humor that Mexicans usually display when confronted with preposterous situations, they indicated their willingness to pay for the wall only if señor Donald builds it along the lines of the map Mexico proposed in 1847 when negotiating the treaty of Guadalupe Hidalgo that ended the Mexican-American war. Trump’s focus on the border has no rational foundation: Current data from the Pew Research Center and corroborated by other independent sources show that more Mexicans are now leaving the US each year than are entering it. At the same time, what makes the border such a big concern to Mexicans is the immense American drug market that provides weapons and billions of dollars in cash to Mexico’s drug lords, making cartels the most formidable enemy and the most critical threat to the viability of the Mexican state. To stop such unrestricted flow, what is needed is an integrated approach that conceptualizes the border not as a site of chaos and danger that can only be averted by building a big tall wall, but rather as an asset to further security and trade for both countries. Instead, a misguided Peña Nieto insisted with Trump that Mexico and the US share the common risk of Central American immigrants traveling through Mexico and creating a humanitarian crisis. In this respect, the record of Peña Nieto’s administration has been one of systematic violation of the basic human rights of the immigrants traveling through Mexico, serving de facto as the Obama administration’s main instrument of immigration control and enforcement. We need to denounce the contradictions in Peña Nieto’s discourse, whereby on the one hand he cries foul about the indeed terrible conditions faced by Mexican immigrants, and on the other he allows the dehumanizing treatment of Central American migrants in Mexico. Peña Nieto has been a mediocre politician, who for the most part has been busy covering up scandals related to the inexplicably sudden wealth of his wife, coupled with a lavish lifestyle commensurate with the worst days of political corruption in the 1970s and 1980s. The poor handling of this ill-conceived visit has only added to the deteriorating image of the Mexican president. With bleak economic prospects and mounting social issues waiting to be tackled by the administration, the visit has only generated constant criticism from both the right and the left, as well as the harshest public rebuttals by a long list of journalists and scholars that a sitting Mexican president has ever faced. Overall, the visit was a remarkable showcase for Trump’s ignorance about international issues and for Peña Nieto’s incompetence in leading a nation. This is why people in the streets of Mexico City asked for the humane deportation of their unwelcome visitor: Trump, apologize, and take Peña Nieto back with you. * Dr. Juan-José Gutiérrez is a professor of Cultural Anthropology at California State University, Monterey Bay (CSUMB). He has been the director of the Institute for Mexican and Mexico US Studies and vice president of the International Oral History Association. Currently, he is a member of the International Board of the Oral History Journal and Director of the CSUMB Global Service Learning Program in Spain.